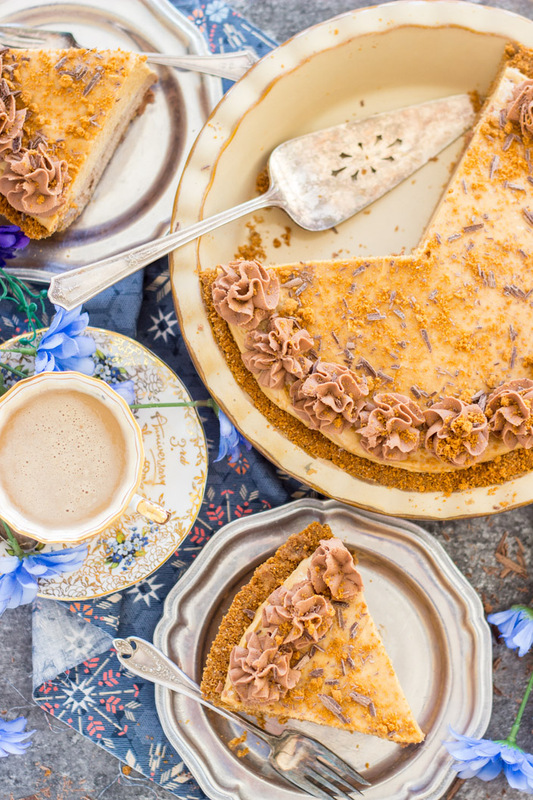 Like a cinnamon & hazelnut latte in cheesecake form, and this No Bake Mocha Biscoff Cheesecake is so, so easy! A little chocolate, a little coffee, a heap of Biscoff cookie butter, and even Nutella – this No Bake Mocha Biscoff Cheesecake boasts a lot of amazing ingredients. 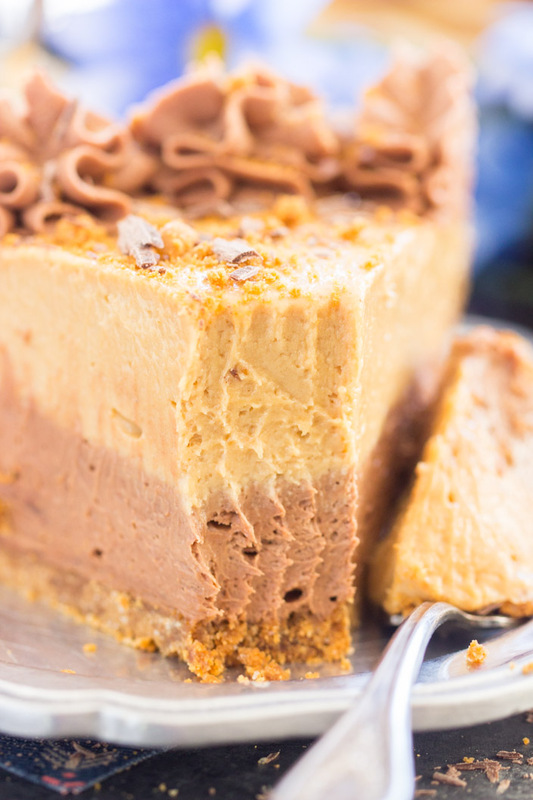 A little chocolate, a little coffee, a heap of Biscoff cookie butter, and even Nutella – this No Bake Mocha Biscoff Cheesecake boasts a lot of amazing ingredients. 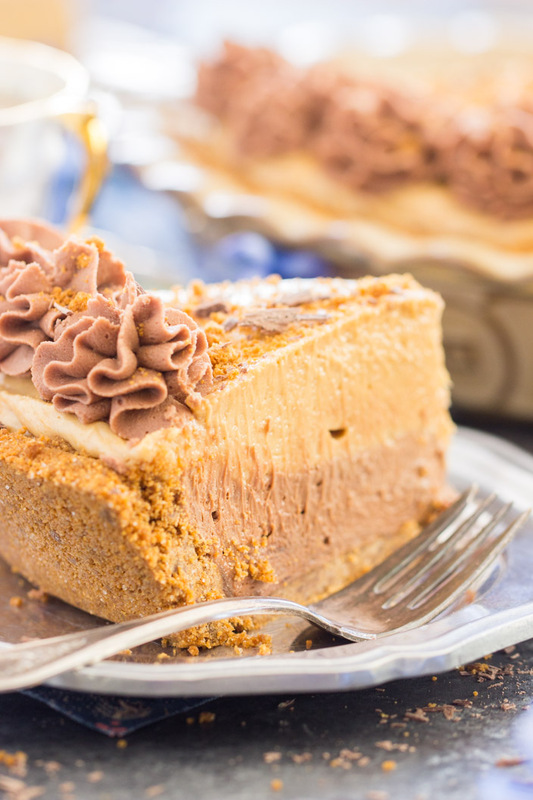 This No Bake Mocha Biscoff Cheesecake is also totally simple to whip up. It starts with a Biscoff cookie crumb crust. Okay, surprisingly, I get asked a lot about Biscoff cookies and cookie butter. I always assume that most people are familiar with those products, but not everyone is. If you aren’t, Biscoff cookies are crispy, thin cookies with cinnamon and brown sugar as the primary flavors. They’re delightful. They give them to you in small red packets on Delta flights! Those cookies. 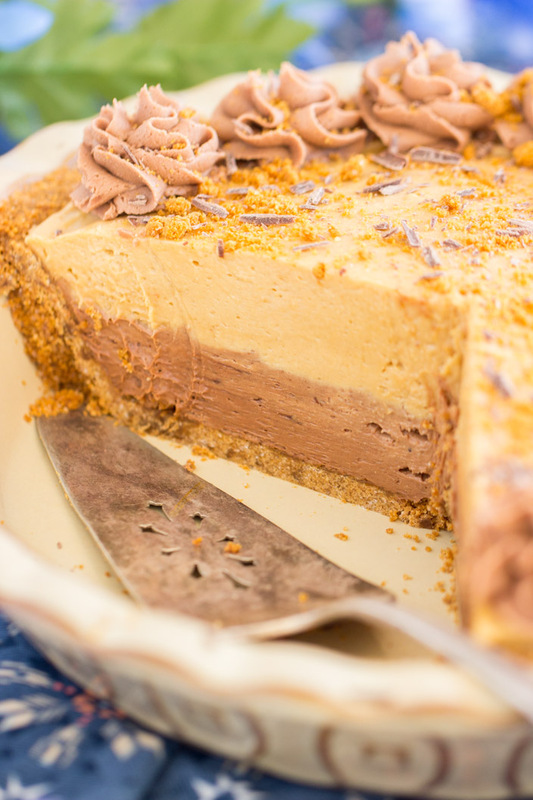 The Biscoff Crust doesn’t need to be baked, but I do recommend it. It’s exceptionally crumbly, compared to other cookie crusts, if not baked. It holds together much better if it’s baked. Otherwise, the cheesecake itself is no-bake. Moving on from the Biscoff Crust…. Cookie butter, which can be Biscoff brand or Speculoos brand, is Biscoff cookies in spreadable form. Sounds weird, but it’s an incredible substance. They grind up Biscoff cookies into fine crumbs, and combine the crumbs with other ingredients into a spread that’s almost like a nut butter. Crazy concept, isn’t it? But it’s fantastic stuff. That’s the main ingredient and flavor component of the top layer of this pie. The top layer is simply a layer of Biscoff cheesecake. 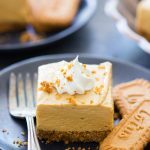 You’ve seen similar versions in these Biscoff Cheesecake Bars and this Cookie Butter Cheesecake with Biscoff Crust. A combo of cream cheese, cookie butter, powdered sugar, and Cool Whip. That’s it. But it’s so creamy, flavorful, and luscious! 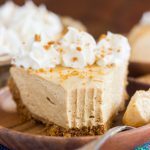 The bottom layer is a few extra ingredients than the top layer, but just as easy to throw together: cream cheese, of course, because this is a cheesecake after all! But also instant coffee, melted chocolate, Nutella, and a few other miscellaneous pantry items. 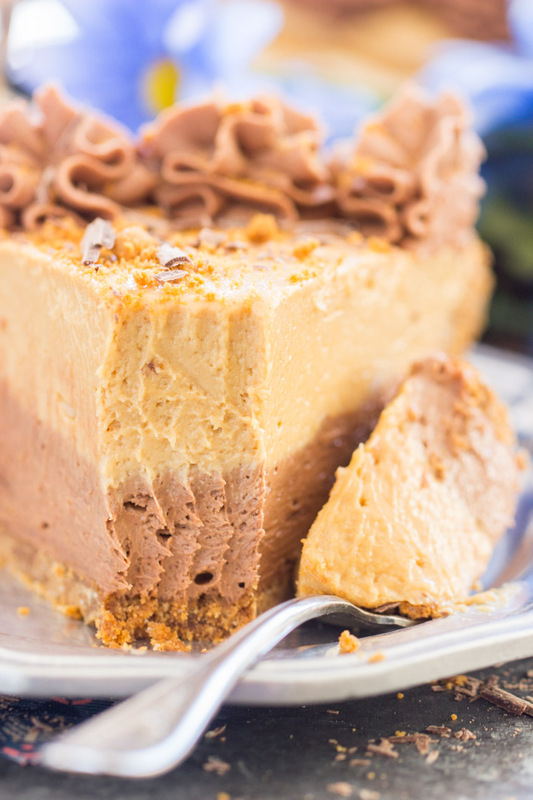 Yes, this No Bake Mocha Biscoff Cheesecake contains Nutella too!! As if Biscoff isn’t enough! I know that requires you to purchase another specialty-ish item, so the Nutella is optional, and it doesn’t affect the ability of this cheesecake to ‘set up’ if you exclude it. 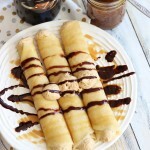 If you don’t want to add Nutella, it’s not a necessity. But why wouldn’t you want to??? 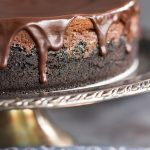 It gives a boost of extra chocolate, as well as a tinge of hazelnut. 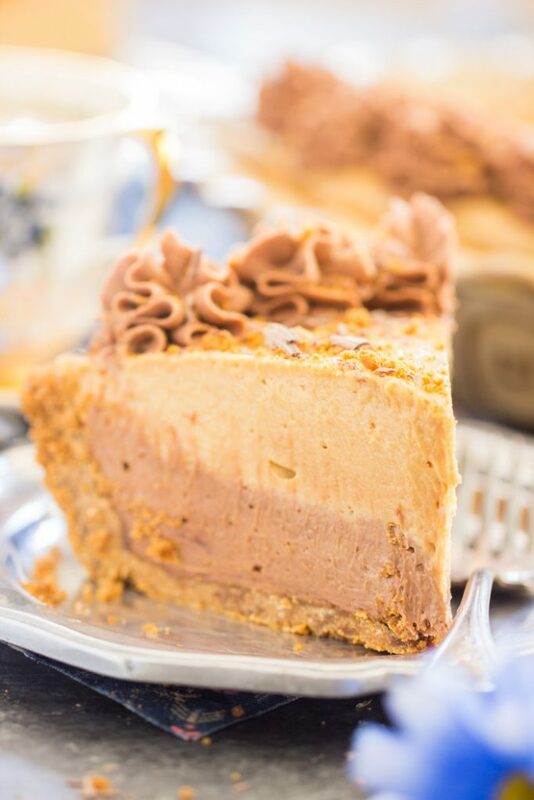 Altogether, this No Bake Mocha Biscoff Cheesecake is simple and easy to prep, loaded with a bunch of incredible ingredients and flavors, and boasts two BIG layers. Try it, and report back! 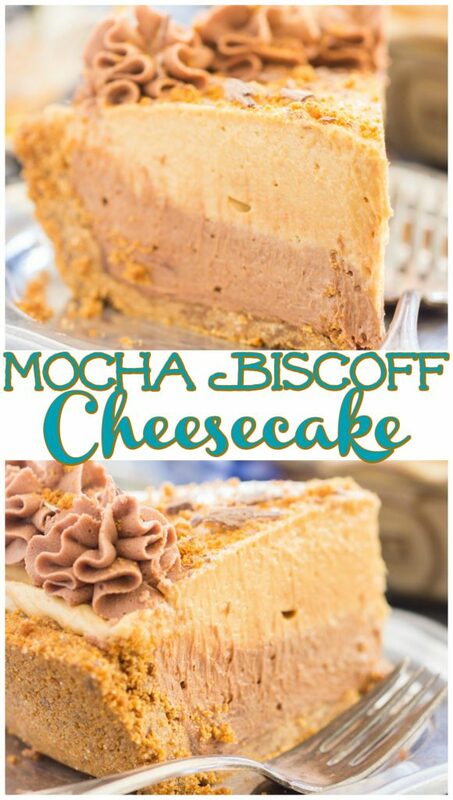 I have a bunch of other pies and cheesecakes that are similar to the basic idea of this No Bake Mocha Biscoff Cheesecake! 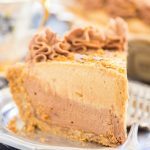 Here’s just a few: this Double Layer No Bake Pumpkin Cheesecake, this No Bake Double Layer Nutella Pumpkin Cheesecake, and this No Bake Double Layer Chocolate Peanut Butter Pie. I’ve also got lots of other cookie butter recipes, like these Biscoff Cookie Butter Cupcakes, and Chocolate Cookie Butter Cupcakes. Both are loaded with cookie butter, and also feature this Cookie Butter Frosting. And lots of Nutella recipes too. My faves are these Nutella Rice Krispie Treats, and these Chocolate Nutella Cupcakes. Whew. 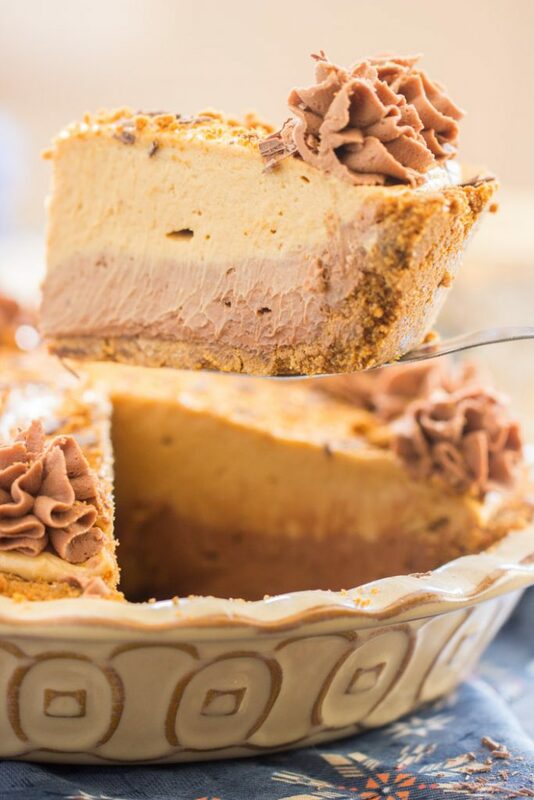 A little chocolate, a little coffee, a heap of Biscoff cookie butter, and even Nutella - this No Bake Mocha Biscoff Cheesecake boasts a lot of amazing ingredients. In a large bowl, stir together cookie crumbs, sugar, and butter. Press into the sides and bottom of a 9-inch deep dish pie plate. Bake at 350 degrees for 8-10 minutes, or until crust is firm. Remove from heat, and cool completely on a wire rack. In a large mixing bowl, beat cream cheese until smooth and creamy. Add sugar, beating to combine. In a small bowl, whisk together water and instant coffee, stirring until granules are dissolved. Add to mixing bowl, beating to combine. With the mixer running on low, gradually add the melted chocolate, beating to combine. 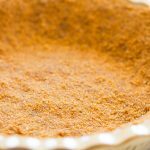 Spread into the bottom of the pie crust in an even layer. Refrigerate while preparing Biscoff layer. Add Biscoff spread, powdered sugar, and half the whipped topping, beating until smooth. Spread over mocha layer in the pie crust. Garnish with crushed Biscoff cookies. Cut and serve!